Come and celebrate 6:30 PM Happy Hour with the Columbus Ski Club at their new location! Get your golf swing ready for the season with a three hour Ski Club outing at the new Topgolf facility at Polaris. We will experience three hours of Topgolf games plus lunch. Lunch will include chicken tenders, pulled pork sliders, kettle chips, fruit, cookies, and unlimited sodas, lemonade, and iced tea. Also, each participant will receive a lifetime Topgolf membership card. A cash bar will also be available. This will be a great opportunity to experience Topgolf with your Ski Club friends. Topgolf provides a fun experience for every level of golfer. Cost of $54 per person covers three hours of games (golf clubs are provided), lunch as shown above, and membership. All attendees must be signed in advance. Sign ups will begin at the March 20th Ski Club meeting at Rude Dog. The always-popular Ski Club Holiday Party is returning. We will be back at the York Country Club where several enjoyable Ski Club events have been held in the past, and yes, there is a dance floor! 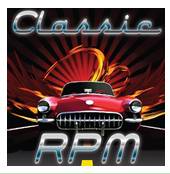 The band “Classic RPM” will be playing starting at 8:00 p.m. Be sure to mark your calendar for a festive evening of food, music, dancing, and holiday fun with your fellow Ski Club friends and acquaintances! 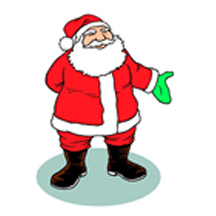 Plus a visit from Jolly Old St. Nick! Reasonably priced cash bar, too! Tickets are $20 in advance and $25 at the door, but get ‘em fast as this event will be a sell-out! Ticket sales begin at the Oct. 17 meeting at Woody’s!